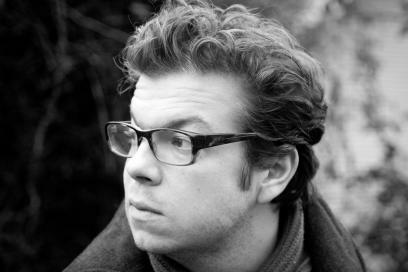 Our interview with poet and award-winning author Ben Lerner about his gripping novel 10:04. On anxiety for the future, the importance of imagination, and why the line between fiction and reality is blurrier than we might suppose. A new interview (our second) with world-renowned intellectual Noam Chomsky. In this conversation Chomsky reflects on the challenge to humanity posed by climate change, what ordinary citizens can do to combat it, and shares some of the lessons he’s gleaned from his life including what his advice would be for present and future generations concerned about the fate of the planet. For our other interview with Noam Chomsky, from February 2013, in which we spoke about his activism during the Vietnam war, and the need to “confront reality” regarding the challenges and uncomfortable truths in front of us click here. 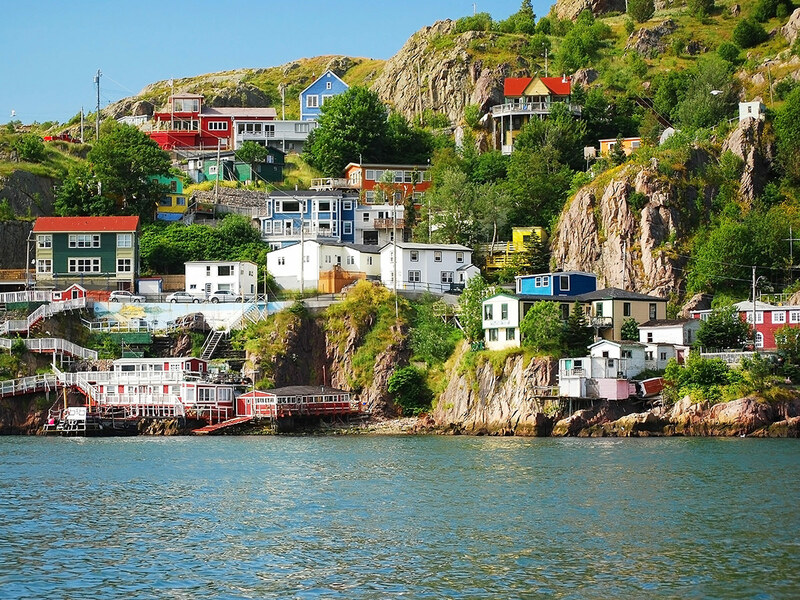 Picture yourself as a man in your 70’s living in a small out-port on a remote island off the coast of Newfoundland. You love where you live, and your roots to the place go deep. 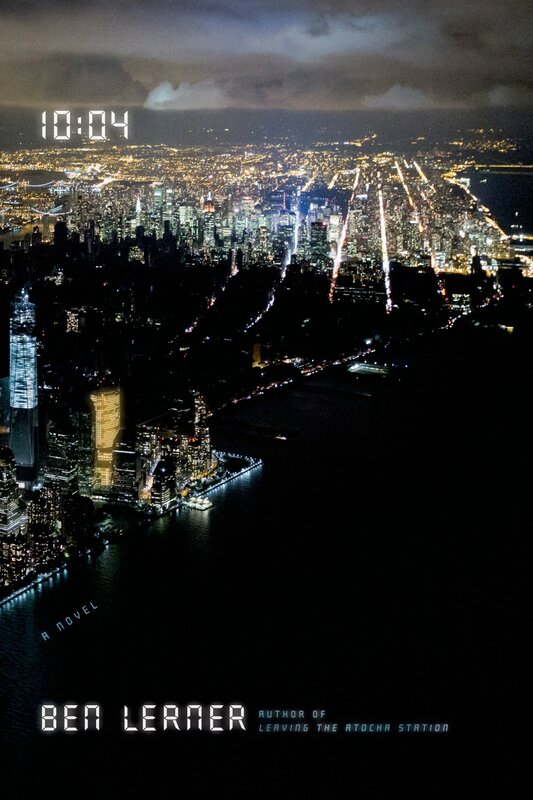 You were born and grew up there, and asides from a few short periods it’s where you’ve lived your entire life. The landscape, the people, the history of the place is practically in your bones. 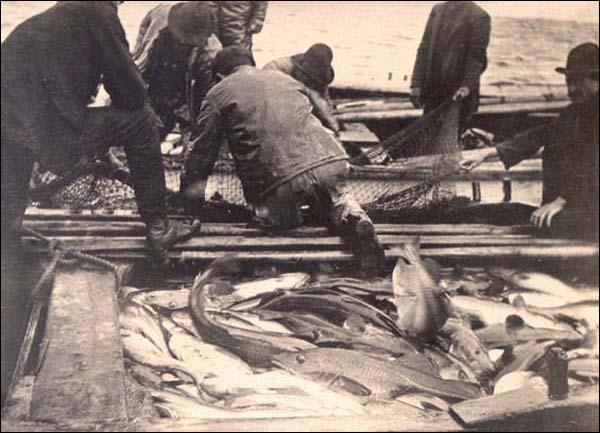 But since the collapse of the fishery jobs are non-existent and opportunities are few. And in order to save costs, the provincial government has offered to pay residents a significant sum of money to relocate to a new city. But there’s a major catch. They will only pay if everyone agrees. Your friends, family, neighbours are all in favour, and you are the only hold out. This is the painful dilemma faced by Moses Sweetland, the central character in Michael Crummey’s touching new novel of the same name – Sweetland. With stakes high, Moses faces an increasing amount of resentment, even threats, from his fellow residents. Caught between the past and the future, between home and the unknown, between capitulation and holding on, what follows is a gripping story that touches on aspects of belonging, death, and what to do in the face of inevitable change. It’s also a meditation on a very real dilemma that residents of small Newfoundland out-ports have faced in waves since 1954. In a province of many isolated hamlets, and ongoing economic turmoil, resettlement has been a painful, often debated reality of life for decades. Michael Crummey is an award winning novelist and poet who has made exploring the contradictions, beauty, and hardships of life on Newfoundland the topic of much of his prose. He skilfully paints a picture of a way of life that few of us will experience, and one that is quickly becoming a thing of the past in our rapidly changing interconnected world. Sweetland is Michael Crummey’s his fourth book, and it is both a subtle and thought-provoking read. Listen to our interview here. As a term, media is such an all-encompassing word. It includes a impossible range of different businesses, ventures, and facets – from entertainment to public interest journalism, from TV movies to ads – that it can be almost absurd to make any judgments on the current state of ‘the media’ at all. But if pressed to, the perhaps one undeniable thing one could say about the media at large, is that these are interesting times for the industry. From the rapid rise of Netflix, to the continuing struggles of newspapers, and the upending of the broadcast model of television, there’s a lot to talk about. Who ever thought that Amazon would be getting into the business of making television? Not only is the entire range of the industry in flux, but also never before has media in general played such a large role in our day-to-day lives. From articles on Facebook, to YouTube videos, radio, podcasts, television, ebooks; for many of us, a huge percentage of our waking hours outside of work, (and often even inside of it) involves consuming media of one sort or another. Especially in this age of ubiquitous screens, it seems we can hardly escape it. And then there are the issues facing the media and journalistic worlds more generally. From Telecom monopolies and threats to internet neutrality, to the crack down on journalistic sources, and the treatment of the Snowden revelations, there’s a lot to get a handle on. 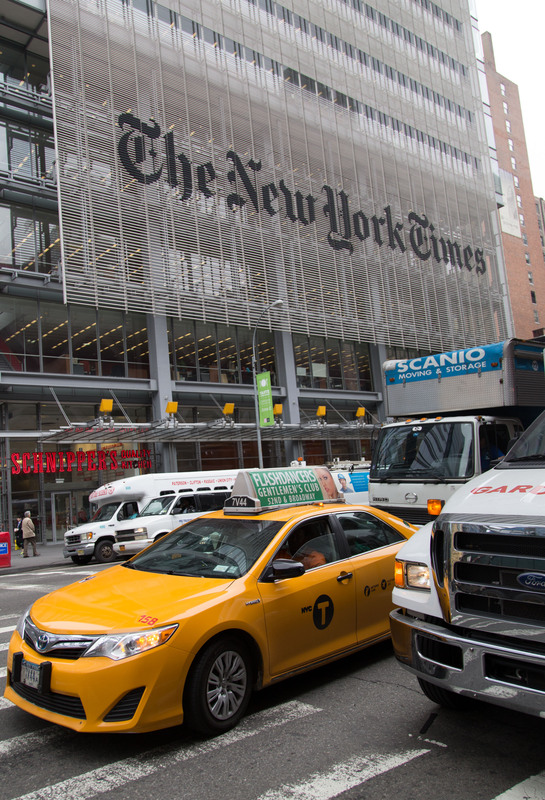 Well to delve into such questions facing journalism, and the larger media world there’s few better sources than David Carr and his weekly column in the New York Times – an always fascinating look at an industry in flux, and one which never fails to leave the reader mulling over the implications. From examining newspaper acquisitions, and media upstarts, to painting a portrait of Glenn Greenwald, David Carr has become the closest thing to required reading one can get for those interested in the changing face of the media. David Carr also has followed what might just count as one of the most unlikely paths to becoming a New York Times journalist that one could imagine- or at least the context of his early foray’s into journalism aren’t exactly what you would advise an ambitious young reporter. 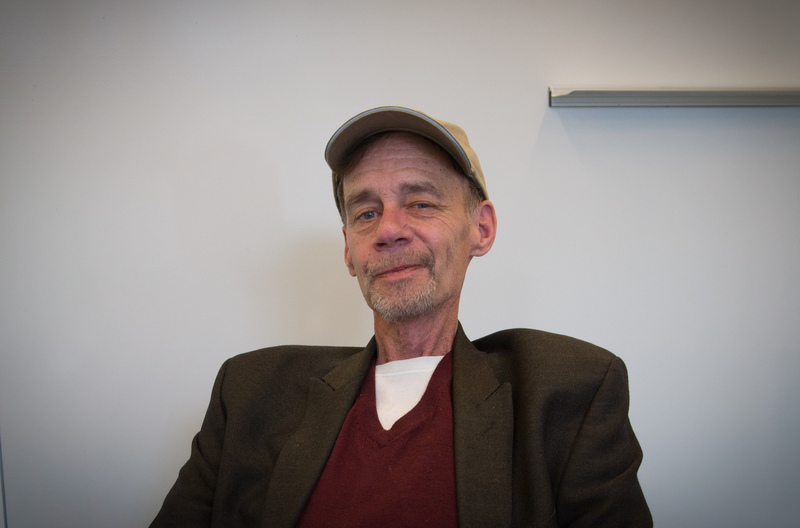 As a man in his 20’s living in Minnesota, Carr was starting to write successfully for various papers and magazines when he began to get deeper into drugs, a road that saw him get fired from his newspaper job, get into repeated trouble with the law, and eventually hit more or less rock bottom. It’s a descent and ultimately redemption story that he recounts in his gripping and brutally honest 2008 best selling memoir, The Night of the Gun. 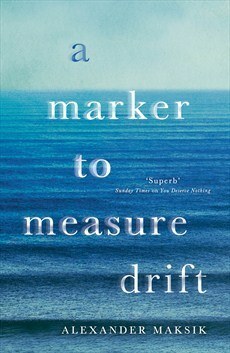 Author Alexander Maksik has recently published his second novel ‘A Marker to Measure Drift’. It tells the story of Jacqueline, a young Liberian woman who has fled the civil war engulfing her country, and is haunted by the trauma of her recent past as she struggles to survive on a Greek island full of vacationing and carefree tourists. Jacqueline experience’s of the world is visceral, having been stripped down to all but the most basic of human needs, the search for food and shelter. But all the while she is determined to maintain her dignity, even as she struggles to survive her uncertain state. The book is a fascinating meditation on memory, violence, and the need for companionship and understanding. 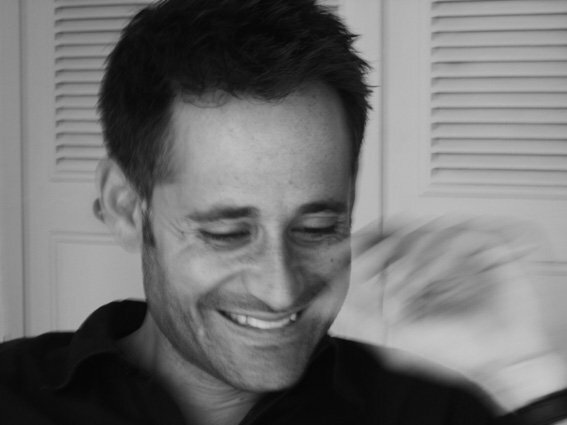 Alexander Maksik has written for numerous publications including Harper’s, Slate, and The New York Times Magazine. His first novel was “You Deserve Nothing.” We speak about his beginnings as a writer, the themes of isolation, and trauma, and why self-reliance is such a tempting, if often illusory idea. 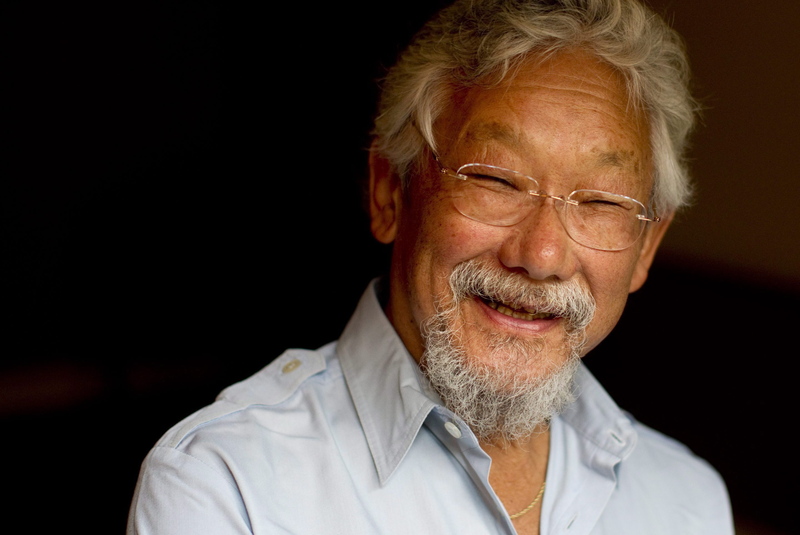 As far as Canadian public figures go, they don’t get much bigger than David Suzuki–and with a quick look at his CV it’s not hard to see why. The shear breadth of his output and contributions to Canadian society have been so vast and prolific over the decades that it can be difficult to wrap one’s head around everything he has managed to accomplish. Suzuki’s career in broadcasting goes back even further than his tenure at The Nature the Things. He started his television career with the CBC in 1971 hosting and writing the children’s show Suzuki on Science. 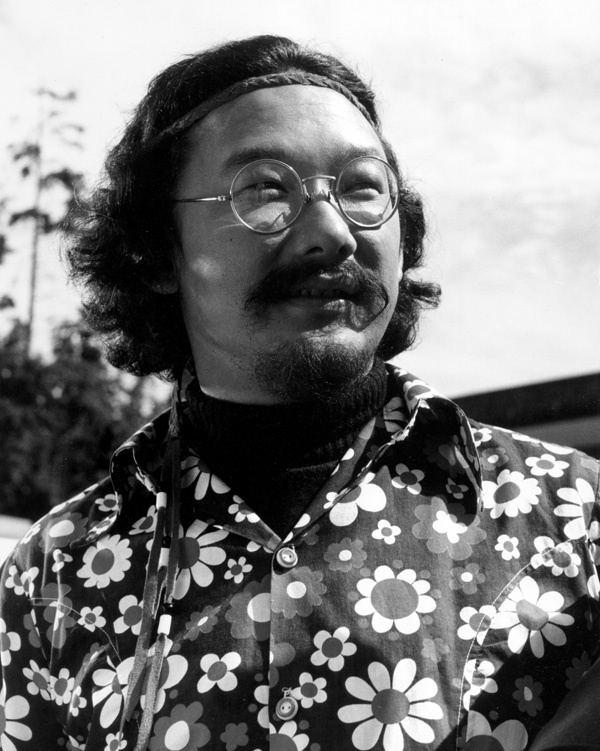 And in 1974, it was David Suzuki who developed the popular long running CBC radio science program Quirks and Quarks and acted as that program’s host for its first several years on the air. Rather, science, is fundamentally critical to our day to day lives as citizens, as a society, and as a species. And whether or not we grapple with the issues, and the consequences of what we know to be the case, whether or not we will come to understand that we are not above nature, but one small part of the interconnected complex web of life on this planet – will in a very real sense determine our fate as a species. is not just a matter of understanding the world around us, it’s a matter of survival of the species. Renowned progressive Ralph Nader certainly has no shortage of descriptions that can be attached to him: author, outspoken consumer advocate, lawyer, environmentalist, public citizen, the list goes on. 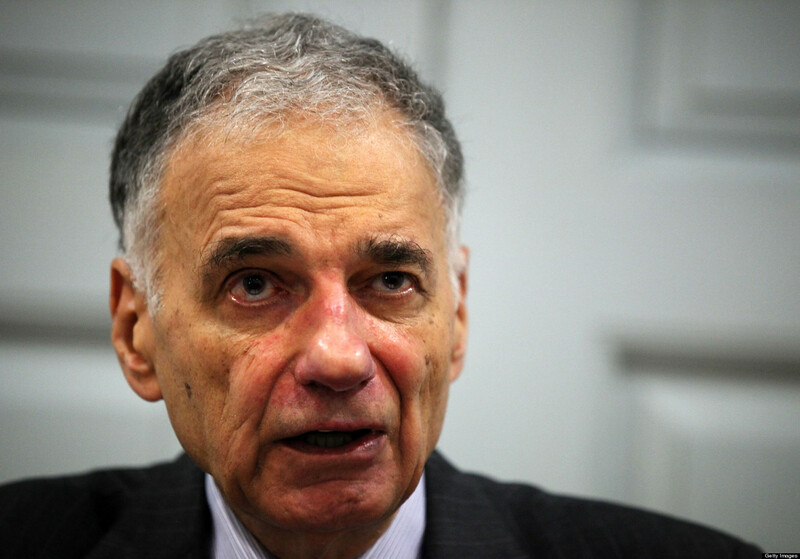 But to many – especially those of us who were born from the 1970s on-wards, Nader is probably best known for challenging the dominate two party system in America as a four time presidential candidate, running both as an independent, and under the banner of the Green Party. His presidential efforts include his controversial run in the 2000 election, when some progressives and former allies blamed his campaign for siphoning off votes from democrats in critical swing states and causing Al Gore to narrowly lose the presidency to George Bush. 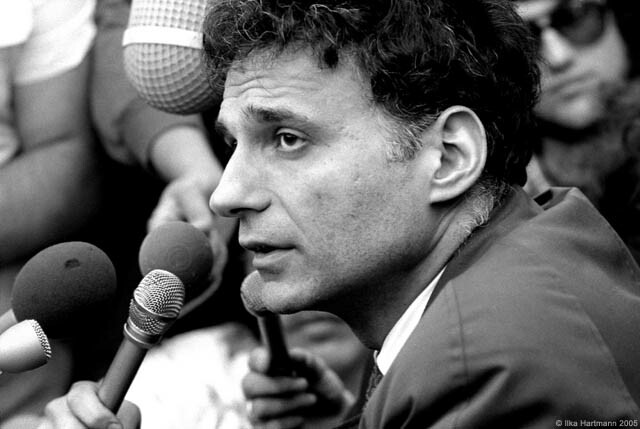 But the true extent of Ralph Nader’s contributions as an individual to American society, go far beyond any debate as to the positive or negative impact of his presidential runs. Many of the institutions and the key regulations that are taken for granted in the United States today – things that protect consumer rights, democracy, and the environment – are virtually the direct result of his work. This includes such things as the EPA, The Freedom of Information Act, The Clean Air and Water acts, and countless other pieces of crucial federal legislation which were enacted into law in the 60s and 70s thanks to Nader’s efforts along with the public interest institutions he founded. He first came to prominence in the 1960s when he took on the large U.S. car manufacturers such as GM over known design and safety flaws that they allowed to be built into their models vehicles. His research and findings led to his 1965 book Unsafe at Any Speed, which in turn helped usher in – by an unanimous vote in congress – the 1966 National Traffic and Motor Vehicle Safety Act which gave the government new oversight powers into the safe design of cars and roads. 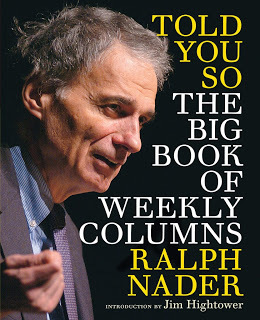 Now, Ralph Nader is out with a new book called Told You So, The Big Book of Weekly Columns. It’s a collection of his best weekly column that he has been writing since 1972 and covers subjects ranging from coporate crime, and foreign policy, to the media, and health care. It’s a compelling and fascinating look at the determined work of one of America’s most outspoken and progressive figures. I reached Ralph Nader by phone at a studio in Washington, D.C.
For those who know his work, Toronto filmmaker Alan Zweig isn’t exactly renowned for seeing the brighter side of life. Indeed, through his previous films such as Vinyl and I Curmudgeon, he has built a reputation for exploring life’s darker aspects, including his own personal struggles and vulnerabilities. It might, then, come as a surprise to some to learn of his most recent film, 15 Reasons To Live, in which he instead turns his eye to what makes life worth living; the various facets of the human experience which make our time on this planet worth holding onto and cherishing. The film was inspired by a book of essays of the same title Why Not: 15 reasons to live, by Alan’s friend Roy Robertson. As soon as he heard the title, knew he wanted to make a film based on idea. Based on this inspiration, the film takes the viewer through a sequence of chapters, each one adapted to one of the fifteen themes in Ray Robertson’s collection of essays Adventure, Art, Intoxication. Rather than being an abstract meditation, in the film each point is illustrated by a portrait of a person and a particular experience they have had, which brings to life the theme in question. The portraits are both poignant and revealing, and the end result is a heartening film of meditations on the nature of life and resilience that will leave you thinking long after you’ve left the theatre. The film premiered at Hot Docs in May, and will be coming out to Canadian theatres this October. 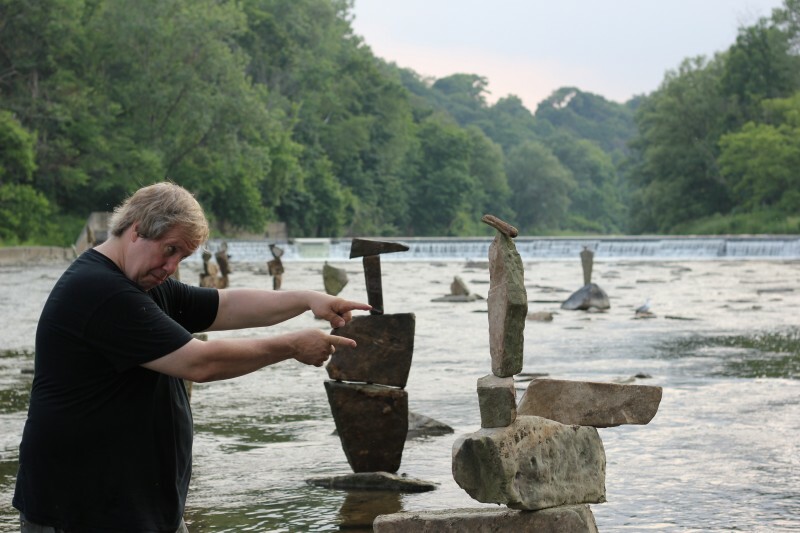 I sat down with Alan Zweig during Hot Docs in May for our interview. 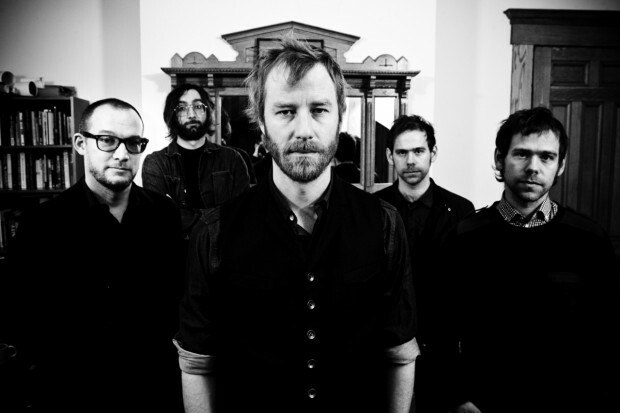 On the show this week, a conversation with Tom Berninger, the filmmaker behind the new documentary Mistaken For Strangers which is a behind the scenes look at the popular indie band The National. But even if you don’t happen to be a fan of The National, the film stands on its own as a entertaining, heartwarming and thought provoking watch. 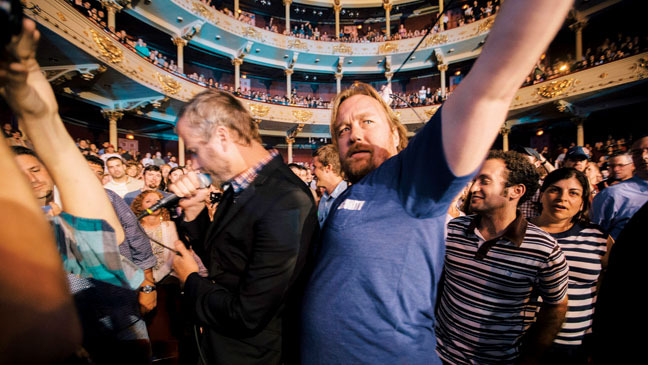 The setting is 2010, and indie rockers The National are about to embark on their biggest international tour yet when lead singer Matt Berninger invites his floundering younger brother Tom to join them and be part of the tour crew. Tom agrees, and brings a camera along to document the journey . What follows is anything but smooth sailing. From Tom’s highs to lows, getting into trouble for not fulfilling his duties, and constant friction with his brother Matt, the ensuing film “Mistaken For Strangers” is a entertaining meditation on success, failure, redemption, and brotherly love. I sat down with younger brother and director Tom Berninger to talk about the film, his life as a brother to a rock star, and the three year challenge of putting the film together. With the latest revelations about surveillance by the NSA the past couple of weeks have seen an explosion in the conversation over what exactly happens to our online data, and just how accessible our personal internet communications are by government bodies. 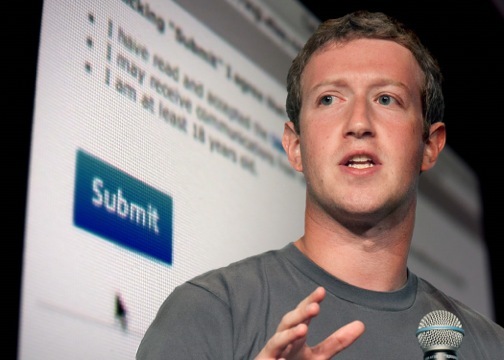 Indeed, thanks to the recent leaks by former NSA contractor Edward Snowden, we now have further insight into just how closely connected government surveillance programs and the corporations we rely on daily such as Facebook, and Google have become. These latest leaks also happen to coincide with the release of a gripping new documentary by filmmaker Cullen Hoback called ‘Terms And Conditions May Apply’. The film sheds light on just how much information is held about ordinary citizens by corporations and government, and how that data is being used in some disquieting ways. But the film also takes a step back to raise the question, how did we get to this point? How did we so quickly end up in a world where the majority of our day-to-day communications are legally accessible by the government – even without being suspected of a particular crime – and what could this mean not only for our privacy, but for the very ability for citizens to dissent? It’s both a timely and riveting doc and despite dealing with serious issues, it manages to be a really fun film to watch. Terms And Conditions had it’s Canadian premiere at Hot Docs in May, and I took the chance to sit down with director Cullen Hoback. But be warned, it may just leave you shocked at what we agreed to in the fine print!